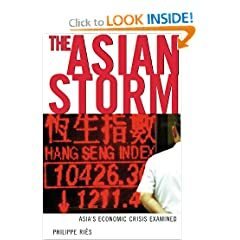 In 1997, the economic markets of many Asian nations experienced a period of financial crisis, triggering fears of worldwide meltdown and depression. While this never materialized due to swift action on the part of the nations involved and the International Monetary Fund, it still sparked waves of fear that rippled through the confidence-driven currency markets. The countries hit hardest by this meltdown were Indonesia, South Korea and Thailand, each experiencing significant levels of financial freefall. Malaysia, Laos, the Philippines and the district of Hong Kong were hurt as well, though to a lesser degree. Vietnam, The People's Republic of China, India, Singapore, Brunei, and Taiwan were less directly affected, although each suffered from a loss of consumer demand as spending cut back and general economic confidence throughout the region. The devaluation of the Thai currency, the Baht, in July of 1997, is what began a chain of currency devaluations across the region, sparking the general panic. After a period of economic decline in the early to mid 1980s, Thailand began a period of recovery in 1985 which peaked in 1988 with 13.2% GDP growth. The growth came as a result of the diversity and physical strength of the Thai economy, sound economic policies and a political structure in which fluidity and adaptability played a key role. The rise and strengthening of the Japanese yen during this period also opened the way for significant Japanese investment in the country. While the economic gains were impressive, the period also saw a growing gap betwixt the country's elite and the poor, with the wealthy unequally centered on a thriving Bangkok. According to some studies, Thailand has been ranked as the fifth most unequal population in the world, in terms of the distribution of income, as a new middle class lived along side massive poverty outside of the major cities. The devaluation of the Baht came as Foreign Exchange speculators attacked the currency, asserting that it was vulnerable and over leveraged due to poor economic fundamentals in Thailand which did not justify its high exchange rate. The economy of Thailand had experienced massive overspending in previous years with levels of debt skyrocketing. In the course of several days, billions of Baht flooded the market, driving down its value, setting off a chain reaction that took an entire region of the world and plunged it in to chaos. 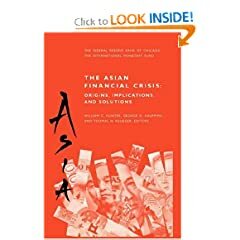 Several books address this topic, such as The Asian Financial crisis: Origins, Implications and Solutions by Kaufman, Krueger and Hunter, The Volatility Machine: Emerging Economies and the Threat of Financial Collapse by Michael Pettis and The Asian Storm: Asia's Economic Crisis Examined by Phillipe Ries. Any of these books are a fine examination and understanding of the roll Foreign Exchange Speculation can, and did, play in the disruption of the global economy.